Everyone desires a bright and confident smile that lasts throughout their life. Maintaining a beautiful, healthy smile begins at home with daily brushing, flossing, and swishing with mouthwash. Daily care guarantees your smile will continue to be at optimal health during your lifetime; however, regular brushing is not the only aspect of maintaining oral health. Regular visits to a top dentist in Los Angeles and Beverly Hills for routine exams will assure your smile will remain supreme. 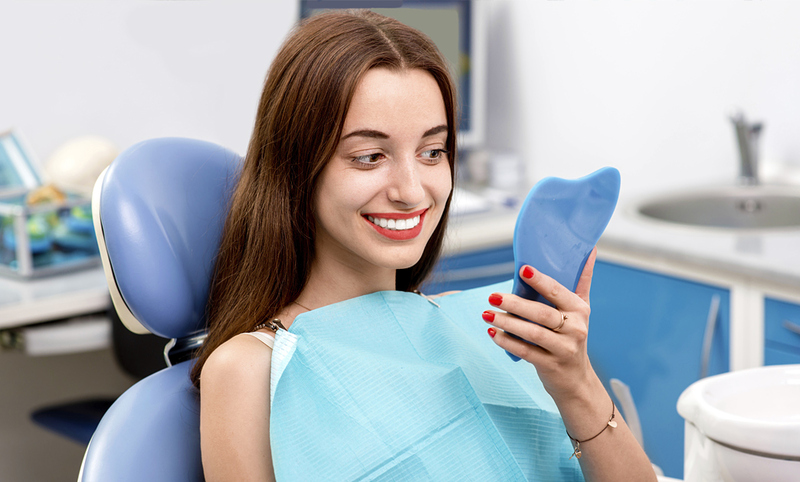 At each visit we assess the level of any potential dental issues and based on the results we provide you with oral hygiene instructions, nutritional counseling, and preventive toothpaste, as well as mouth rinsing options. At our practice, we offer high-quality routine exams to best care for each patient’s dental needs. Through our thorough review, we can get a better understanding of a patient’s current oral health. Once we have a complete picture of his/her overall health, we can recommend best practices and services to give him/her a smile he/she desires. Routine exams also provide the opportunity for patients to express concerns and desires to improve their smiles. Through these exams, our staff is able to understand a patient’s unique dental needs and best care for the patient’s oral health. Routine exams at our practice are designed to prolong the overall oral health of the patient including improving gum hygiene. During our dental exams, we also monitor our patients' oral cavity; this part of the exam is called Oral Cancer Screening. At our routine exams, we get not only a better understanding of a patient’s teeth health, but also gum health. Most patients understand how daily brushing and flossing care for their teeth, but not always how it also improves the health of their gums. Proper gum hygiene benefits a patient’s long term oral health by preventing disease and possible damage. At our practice, our focus is providing the most excellent routine exams to best support our patients’ overall oral health. After all, gum and ridge bone health is the foundation to a healthy smile. Properly caring for patient dental needs is the top priority. Our dentist desires to see his patients leave with improved dental care that lasts. To keep your superlative smile of a lifetime, contact our office to schedule your routine exam. Correctly caring for your teeth and gums promotes better overall health by preventing related diseases. Let us provide the best care for your teeth and gums to prolong your lifetime of a confident, radiant smile.